Nicola has known the name Fiona Harrold since she first discovered coaching and hired her first coach back in 1999. Fiona lived an extraordinary early life in Ireland, supported by her sales superstar and personal development addict Dad, before moving to London. She studied politics and become the lead singer in a punk band travelling Europe and calling a London squat, home. Burned out from years of trying to make the world perfect before looking after herself, Fiona had an epiphany moment and went looking for a mentor. She apprenticed to that mentor, studied, trained and launched her success coaching business before the time of the internet and mobile phones but her route to success is still just as practical and effective for new entrepreneurs. Fiona Harrold is a world-renowned coach and author who has been helping people build their businesses and create more fulfilling lives for over twenty years. Fiona’s books, website and programmes have helped thousands of individuals tap into their talents, skills and passions – and to make money from them. Her weekly Newsletter goes out to over 20,000 of her website members. The Daily Mail calls her ‘The Queen Bee of Coaching’. She features regularly in the media and has had columns in The Independent, Daily Mail, Daily Mirror, and various magazines. 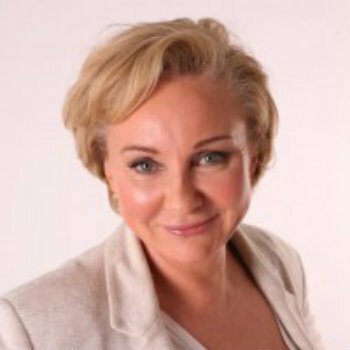 Fiona has worked with numerous organisations including Virgin Atlantic, American Express, Vauxhall, and Proctor & Gamble. Her consultancy carried out a pilot scheme to train prison officers to coach offenders in a prison in Kent. Fiona was the Green Party Parliamentary candidate for Hammersmith & Fulham at the 2005 General Election. Fiona has been people-watching since the age of ten when she and her award-winning salesman father, Michael, would drive around Northern Ireland giving lifts to hitch-hikers finding out what made them tick and how their attitude was shaping their lives – for better or worse! Fiona masterminded her own re-invention that took her from living in a squat in London claiming benefits, to one of the world’s leading motivational experts and international best-selling author. Her own story demonstrates her message that anything is possible!